ROME – Poland’s President Andrzej Duda has vetoed two of three bills that would have given Jarosław Kaczyński, leader of the far-right Law and Justice Party (PiS), total control of the country’s judiciary. But, despite Duda’s veto, the threat to democracy and the rule of law posed by Kaczyński, who holds no formal role in the PiS government, is far from over in Poland, and it jeopardizes the very functioning of the European Union. The threat that Kaczyński poses is as serious for the EU as Greece’s debt problems were for the operation of the eurozone in recent years. Unless Europe develops an adequate strategy to deal with Kaczyński, his challenge will become equally existential for the wider EU. There is a widespread view that Kaczyński’s aim in targeting Poland’s court system is to exact revenge on leaders of the previous Civic Platform government: the former prime minister (and current EU Council President), Donald Tusk; Tusk’s chief of staff, Tomasz Arabski; the former foreign minister, Radosław Sikorski; and others. Kaczyński, with no proof whatsoever, bizarrely blames them for the death of his twin brother, then-President Lech Kaczyński, in an airplane crash at Smolensk, Russia in 2010. Despite Kaczyński’s fevered conspiracy theory, his real aim is rational: to seize control of the Polish Supreme Court, which will rule on whether the next elections due in 2019, have been rigged or not. Kaczyński planned to do this by sacking all Supreme Court Justices who did not obtain the approval of his devoted justice minister, Zbigniew Ziobro, and packing the National Judicial Council with his appointees, which would enable him to promote judges willing to toe the PiS line. The two vetoed bills that would have made this possible were completely at odds with Poland’’s Constitution. But, absent Duda’s vetoes, this would not have presented any obstacle, as Poland’’s Constitutional Court, which pronounces on such matters, was (illegally) packed with PiS loyalists at the end of last year. Neither mass demonstrations against the proposed changes throughout Poland, nor Duda’s vetoes, have induced Kaczyński to abandon his schemes. He will surely return in the next few weeks or months to his effort to ensure the PiS’s hold on power, possibly taking advantage of the EU’s August break. 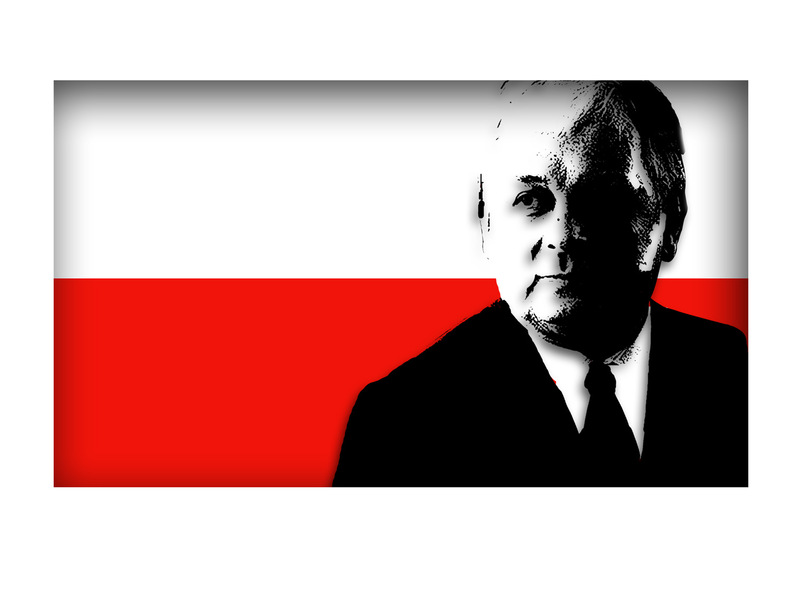 Moreover, Kaczyński already has many of the instruments he needs to achieve his aim. The one bill that Duda did not veto allows the government to sack all district and intermediate court presidents. If this law is used to ensure that politically loyal judges preside over cases brought against opposition politicians, in order to convict them on trumped-up charges, these officials will be prevented from running in the 2019 parliamentary and 2020 presidential elections. The EU therefore faces not just an “illiberal democracy” in its midst, as it does with Victor Orbán’s Hungary. For the first time in its history, the EU must confront the prospect of a member state that is a non-democracy, in the fundamental sense of lacking free, unrigged elections. And Kaczyński can count on Orbán to provide him cover (in the expectation of reciprocation when needed), by vetoing any attempt at depriving the PiS government of its vote within the EU, a move that would require member states’ unanimous support. At the same time, if Kaczyński is intent on rigging the autumn 2019 parliamentary election, he is unlikely to be willing to lose the election to the European Parliament that spring. Can the EU and its democratic member states accept that Polish MEPs chosen in a rigged election will take up their seats in the Union’s own parliament? Indeed, the ramifications of Poland’s turn away from democracy could be felt even earlier, when local elections are held in the fall of 2018. Local governments distribute the bulk of Poland’s €72 billion ($83.8 billion) in EU structural funds, which are critical for Poland’s economic development. What will the EU do if Kaczyński decides to rig the outcome of these elections as well? Can it continue to entrust the allocation of structural funds to illegally and undemocratically elected bodies? Further complicating matters for the EU, placing the selection of Poland’s lower court presidents under Ziobro’s control means that politically selected judges may adjudicate on challenges to tenders for EU-funded projects. And if Kaczyński overcomes Duda’s vetoes, all of Poland’s judges will be under the control of the PiS’s justice minister. In that case, what happens if the government changes, and PiS’s appointees, installed on the basis of a clearly unconstitutional law, are no longer recognized as being judges at all, and their rulings on matters affecting EU citizens rights in Poland are inevitably voided? As in the case of Brexit, Poland’s domestic political turmoil reveals how intertwined the EU’s member states have become. If democracy and the rule of law are overthrown in one, serious repercussions for all the others cannot be avoided. But the EU seems to lack effective mechanisms for resolving this problem, despite being legally, politically, and indeed morally unable to permit it to persist. To rein in Kaczyński, Europe’s lawyers and politicians will have to put their heads together – before the entire structure falls apart.